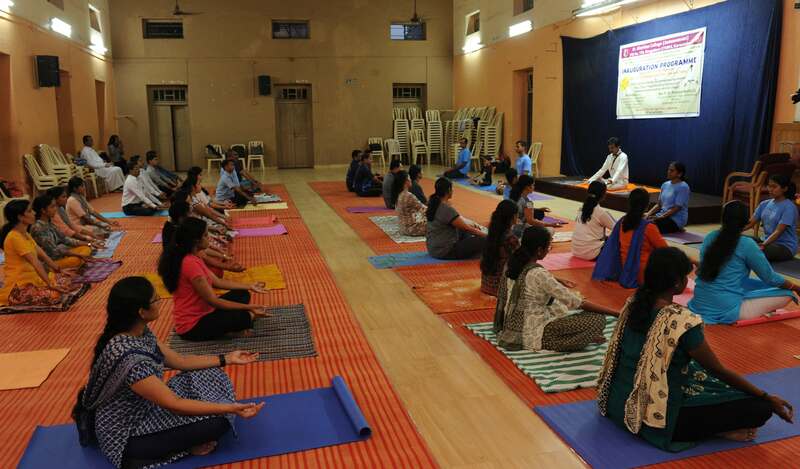 The Yoga and Mudra Camp for staff and students was inaugurated at St Aloysius College (Autonomous) on 3rd December, 2018 in the College Auditorium. Mr Kumara, KAS, Additional Deputy Commissioner and Additional District Magistrate, D.K. District was the Chief Guest. 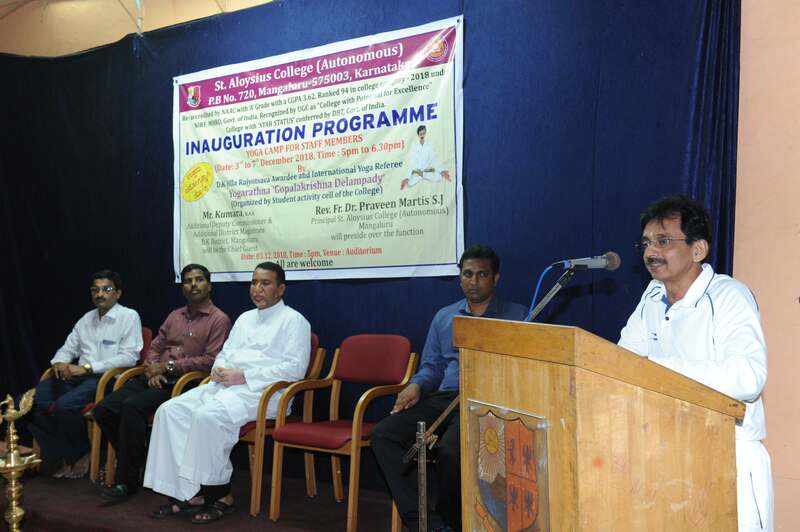 Rev Dr Praveen Martis, SJ, Principal presided over the programme. 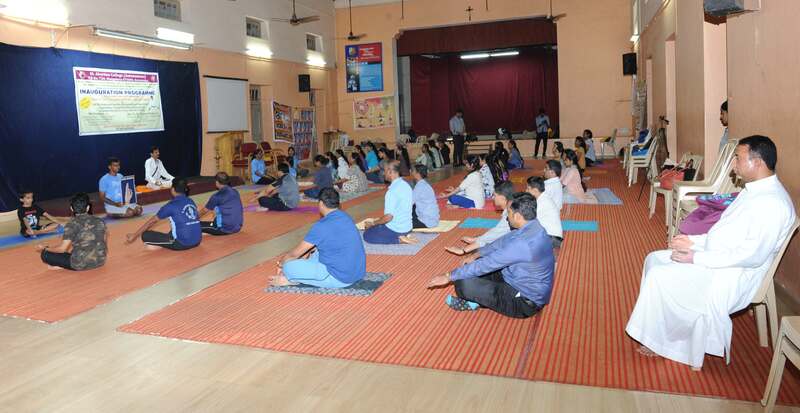 Yogaratna Golapakrishna Delampady, an alumnus of St Aloysius College, demonstrated Yoga and Mudra for Staff and students of St Aloysius College. Chief Guest Mr Kumara in his speech thanked the organizers for conducting this camp. He explained the importance of Yoga and Mudra in our daily life. “Yoga is not only good for body, but for mind also. It has some power and we must understand it and practice it on a regular basis. We don’t require so many health centres, instead we require these kinds of camps”, he said. He advised that “if we practice Yoga for an hour, it will take care of our body for the next 23 hours. Hence, Yoga is the only way to take care of our body and mind. There are so many doctors for different body diseases but there is only one doctor for the mind ie., Psychiatrist”, he added. Further he stated that organizing such yoga camps will help the people to move towards a healthy and tension-free society. Rather than medication, meditation is important. Yoga is the only way to spread positivity. 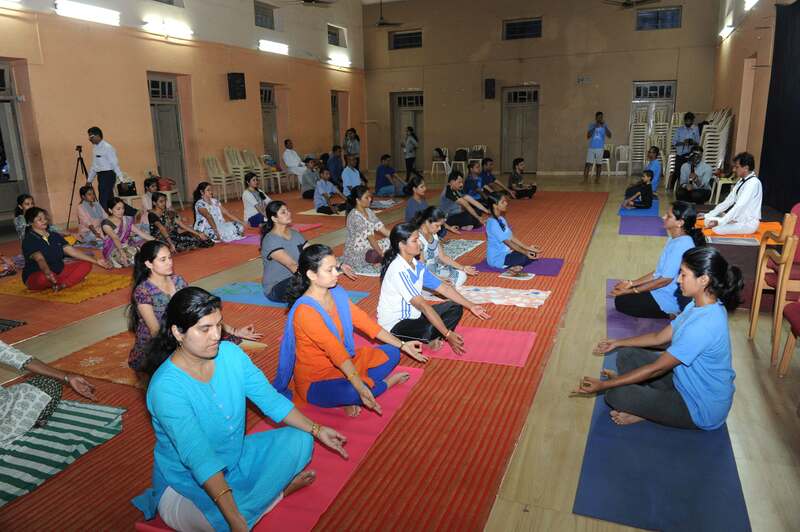 Hence, he suggested to the audience to learn yoga and mudra and live a peaceful and healthy life. Yogaratna Golapakrishna Delampady, in his speech, explained the importance of yoga and mudra. He said Yoga is a symbol of peace in mind and spiritual achievement which means a sound mind in a sound body. He further said that, practising Yoga and Mudra will make one feel relaxed, relieved and tension-free. 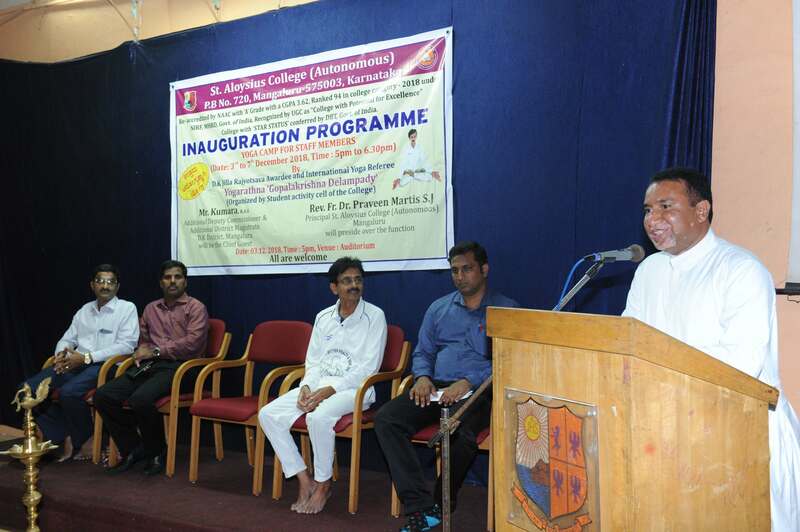 Rev Dr Praveen Martis SJ, stressed on the importance of practising yoga for peaceful and healthy life. He further added that Yoga will improve concentration and memory power of students and gave the message to practice Yoga regularly. He explained how foreigners are inspired by Yoga and practice Yoga. Yoga and Mudra go hand in hand and meditation will purify our mind, he added. Manasa and group conducted the prayer. Dr Ishwar Bhat, Convenor of the camp welcomed the gathering and introduced the guests. Dr Santhosh Wilson Goveas, Co-convenor of the camp, compered the programme and proposed the vote of thanks.